Run Time:105 Min Rated: PG (Canada), PG (MPAA). Who ya gonna call again? "When the disciples saw Him walking on the sea, they were terrified, and said, ‘It is a ghost!’ and they cried out in fear." It wasn't a ghost, it was Jesus. In fact Jesus hadn't even gone to the cross yet. After His resurrection from the dead Jesus showed them His hands and side and they were glad when they saw that it was the Lord and realized that although He'd been dead, Jesus was now alive and not a ghost. The disciples lived in a world where the idea of ghosts was part of life. Today many people are fascinated by the idea of ghosts. Look around and it's easy to see the interest. Canadian actor and comedian Dan Aykroyd has this interest and, along with Harold Ramis, wrote the film Ghostbusters which celebrates its 30th anniversary this year along with heavy hitters from 1984 like eight-time Oscar award winning film Amadeus and David Lean's A Passage to India. Unlike Amadeus and A Passage to India,Ghostbusters doesn't take itself too seriously except in its efforts to get an occasional jump and a good laugh out of its audience. 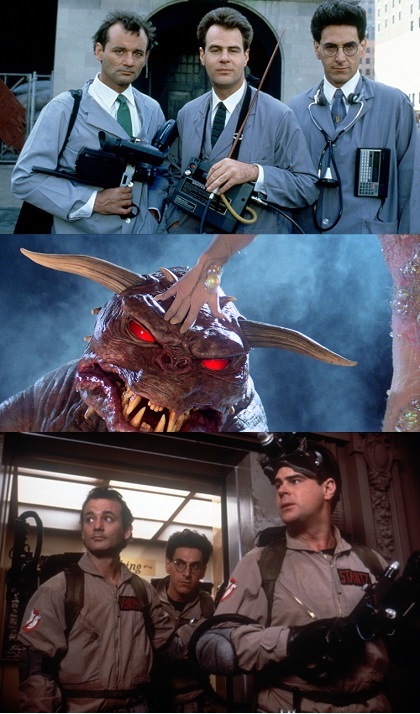 Ghostbusters is the fanciful story of three New York City university professors, Dr. Peter Venkmen (Bill Murray); Dr. Ray Stantz (Dan Aykroyd); and Dr. Egon Spengler (Harold Ramis) researching the fringe topic of parapsychology. Just as they are on the verge of a major breakthrough, they lose their funding. The breakthrough is a precarious scientific process of capturing ghosts and holding them indefinitely. Setting up shop for themselves they become “ghostbusters” for hire— catching ghosts and taking them away for "safe" keeping. Along the way the team adds the down-to-earth Winston Zeddmore (Ernie Hudson) as another Ghostbuster. Amidst the various cases they take on, one sticks out as significant: the haunting of Dana Barrett (Sigourney Weaver).This case becomes the focal point of the film’s unfolding plot and centres on a prophetic return of an ancient Sumerian "demi-god," Gozer the Gozerian, which lands NYC in a heap of trouble that threatens the whole world. While all three professors are up to their elbows in ectoplasm they approach their work very differently. Peter (Murray) is the cynic, Ray (Aykroyd) is the occult true believer, and Egon remains the clinical detached researcher. Winston, the new hire, has a different view of the operation which Christian viewers will find interesting. It’s revealed in a conversation with Ray. After things start really falling apart and the Ghostbusters have started piecing together what might be happening, in an uncharacteristic quiet moment Winston asks, "Hey Ray. Do you believe in God?" Ray replies, "Never met Him." To which Winston responds, "Yeah, well, I do. And I love Jesus' style, you know." This sets up a rather amicable clash of worldviews. Ray is an Occultist and Winston is a Christian and they are both Ghostbusters. What follows is a bit of foggy theological speculation between the two of them with a Bible misquote that takes them to the resurrection of the dead and Judgment Day. Ray brushes the predominantly accepted Christian doctrine of the end of the world and final judgment saying, "Every ancient religion has its own myth about the end of the world." Winston isn't having any of it and retorts, "Myth? Ray, has it ever occurred to you that maybe the reason we've been so busy lately is 'cause the dead havebeen rising from the grave?" In the midst of Ghostbusters’ fun and laughs some more substantial questions begin cropping up—questions about life after death and God. These include: Are the ghosts in the film intended to be dead people? What does happen between the point of death and the resurrection of the dead? Is the resurrection of the dead a bodily resurrection or do people come back as ghosts as Winston suggests? Can the soul of the departed be imprisoned by anyone but God? 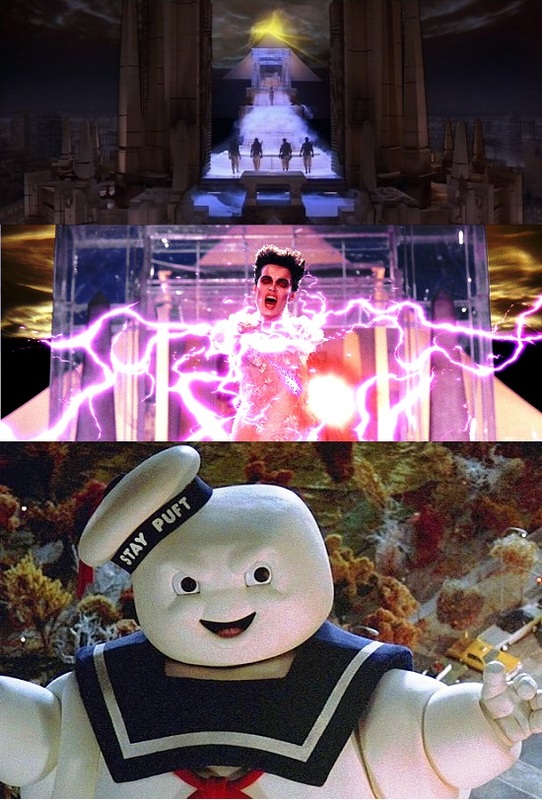 Is the eventual appearance of Gozer the Gozerian an affront to Monotheism? Casual viewers will not likely ponder these too deeply, however upon multiple viewings of Ghostbusters they may arise. Perhaps viewers brought the questions with them into the theatre; maybe they are looking for answers. While the film is not a theological treatise Aykroyd and Ramis have their ideas about these things, and when it comes to the more theological/spiritual ideas it appears Aykroyd was leading the dance. For generations his family has been involved in spiritism/spiritualism. What does Scripture say about life after death and its interaction with humanity? As a general rule, in the parable of The Rich Man and Lazarus, Jesus says departed souls do not return to this world. Pieper, in volume III of his Christian Dogmaticspoints out there is no Scriptural basis for attributing to the soul of the departed a direct knowledge of particular things and happenings on earth. In fact "of the soul of the unbelievers Scripture declares that they are kept 'in prison,' a place of punishment. Of the souls of the believers we are told not merely in general that they are in God's hand (Acts 7:59; Luke 23:46), but also in particular that they dwell with Christ and in paradise (Philippians 1:23; Luke 23:43).” When the end of the world and Judgment does come the resurrection of the dead will be physical (1 Corinthians 15) and not ghostly. How does the film hold up after 30 years? While the “spooks” aren't too spooky and the comedy is still funny, the special effects and visual qualities of the film do suffer. It will look better in Blu-ray or DVD on the small screen since the theatrical release didn't include any restoration or upgrading. 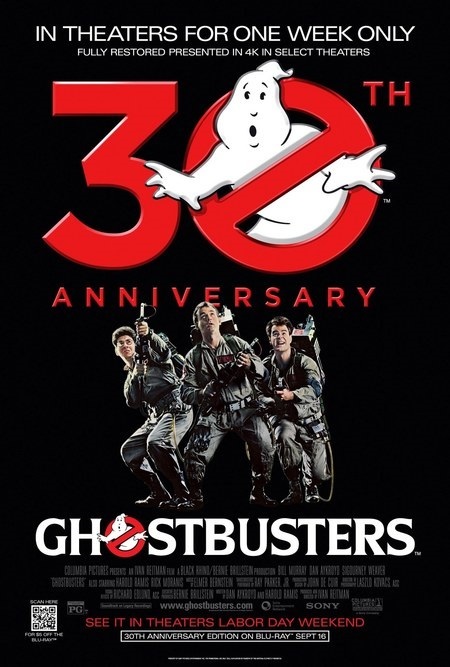 Perhaps because it’s a comedy, when it comes to the story Ghostbustersdoesn’t take a lot of time setting up its characters and plots as do many contemporary films. Its quick pace is refreshing. In 1984, because of Aykroyd, Ghostbusters had an esoteric edge to it. Today, pop culture has rather thoroughly worked over the topic of ghosts with scripted shows like Ghost Whisperer, movies like the box-office smash Paranormal Activityand “reality” shows like Paranormal State, Ghost Hunters, and Most Haunted USA. 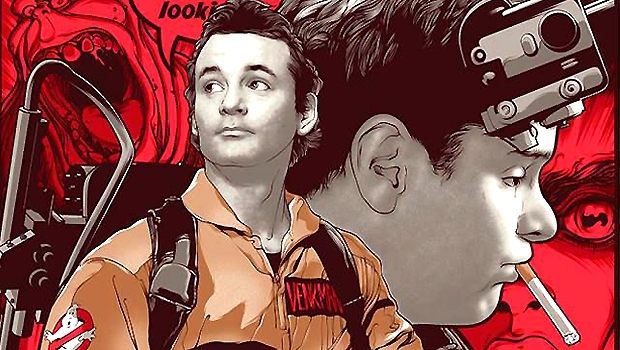 As a result, the original Ghostbusters film feels less original and certainly not ground-breaking. Although ghosts have taken a back seat to zombies in recent years, Hollywood is always hopeful the ghosts of the past might haunt the box-office of today or the future. In fact, this fall the makers of last year’s The Conjuring are hoping for a repeat performance at the box office with their new film Annabelle in October. The Rev. Ted Giese is associate pastor of Mount Olive Lutheran Church, Regina, Saskatchewan. Just for fun here's a Lutheran Satire video that features a little Ghostbusters humour in it. If you haven't seen it (or even if you have) check it out. You can also find this article featured on the CanadianLutheran.ca. Ghostbusters didn't win an Oscar that year although it was nominated in the Best Original Song category for the memorable Ray Parkers Jr. song "Ghostbusters." Winston asks, "Hey Ray. Do you remember something in the bible about the last days when the dead would rise from the grave?" Ray replies, "I remember Revelations 7:12 ...? And I looked, and he opened the sixth seal, and behold, there was a great earthquake. And the sun became as black as sack cloth, and the moon became as blood." Winston adds, "And the seas boiled and the skies fell." Ray says, "Judgement day." Winston agrees, "Judgement day." While Revelation 7:12 does depict people before the throne of God, they are actually the baptised who've had their robes washed white in the blood of Jesus the vicarious atoning lamb of God. Revelation 7:12 reads, “Amen! Blessing and glory and wisdom and thanksgiving and honour and power and might be to our God forever and ever! Amen.” Ray is off by one chapter, Revelation 6:12 reads, "When he opened the sixth seal, I looked, and behold, there was a great earthquake, and the sun became black as sackcloth, the full moon became like blood[.]" Christ's Return For Judgment, Article XVII, Apology, Concordia: The Lutheran Confessions - Reader's Edition, Concordia Publishing House 2005, pg 283. Volume III, Christian Dogmatics, F. Pieper, Concordia Publishing House, pg 515.